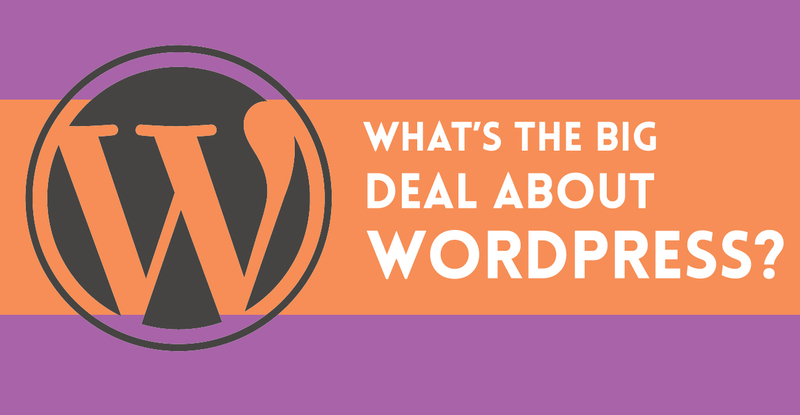 So what exactly is WordPress? Well, WordPress is a Content Management System (CMS), meaning that it’s a platform to build a website on that will enable the everyday person to make changes to his or her site. Best of all, users can make these edits without special knowledge of coding languages or access to an HTML editor. Signing up for a site via WordPress.com is a nice, entry-level option for users looking to acquaint themselves with the CMS, or for users that simply have very low-level requirements for the design and functionality of their site. With this method, you won’t have the ability to deploy custom themes, nor will you be able to install plugins on your website. WordPress.org however, is where this CMS really begins flexing its muscles. When a user visits WordPress.org, he or she will have the opportunity to download a WordPress install package. That’s a collection of files that the user will need to be deployed to a server of some sort, and then ultimately married with a corresponding MySQL database. It’s worth it at this point to note that most hosting providers (GoDaddy, Bluehost, Network Solutions, etc.) usually have a WordPress install tool built into their hosting platforms. The true beauty of this method is that you now have complete control over the CMS. You can create your own custom WordPress theme, or install one of the thousands of pre-existing themes. Best of all, you can install plugins. Plugins give users the ability to extend the functionality of their WordPress site in a variety of different ways. This can range from creating a custom Events Calendar on your site, to giving you the functionality to deploy high-level SEO items. Now that you have a baseline understanding of the platform, let’s talk about the benefits. WordPress’ interface is extremely intuitive. If you’re tech savvy enough to use a program like Microsoft Word, you’ll have no trouble learning Wordpress. WordPress isn’t a static platform, meaning that the developers are constantly working to improve the features and security. New releases of WordPress are frequently created, and updating to the newest version is a two or three-click process. In some scenarios, you can just have the updates automatically applied to your website. If it comes time to move the content of your site to a different WordPress site, exporting and then importing that content can be done quickly and easily. This is one of the best features of the CMS. WordPress utilizes what’s known as a WYSIWYG (What You See Is What You Get) editor. A common is example is when a user can click on a button that says “B” to make text bold, or the “I” icon to italicize text. Similarly, users can create bulleted or numbered lists, add hyperlinks, and change text alignment via the WYSIWYG editor. Not every user is in the same publishing scenario, and WordPress is built to accommodate a variety of these scenarios. WordPress administrators have the capability to create multiple users, all of whom can have very specific access levels to the site. For instance, some users may be granted permission to only write a post, but not actually publish it. Other users may have to the ability to edit only certain sections of the website. For users that are (rightfully) daunted by the idea of learning a program like Dreamweaver, Visual Studio, or even Filezilla – don’t worry. These aren’t requirements for having a WordPress website. Your everyday edits will be done via the built-in WordPress dashboard. This includes creating new pages, revising the content on existing pages, uploading images to the media library, and adding/removing blog posts. Remember, WordPress was originally built as an amateur blogging platform. Just because the developers have added robust functionality over the course of years doesn’t mean they’ve forgotten their core. Each WordPress website has a blogging feature built into it. That’s not to say that you have to use this, but it’s nice to know that it’s there.